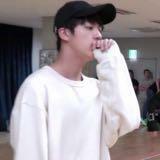 seok_jinnie great buyer to deal with!! thankyou for the smooth and fuss free deal! buyer was very understanding and gives speedy replies! Thankyou and hope to deal agn! @derek388520 is on Carousell - Follow to stay updated!